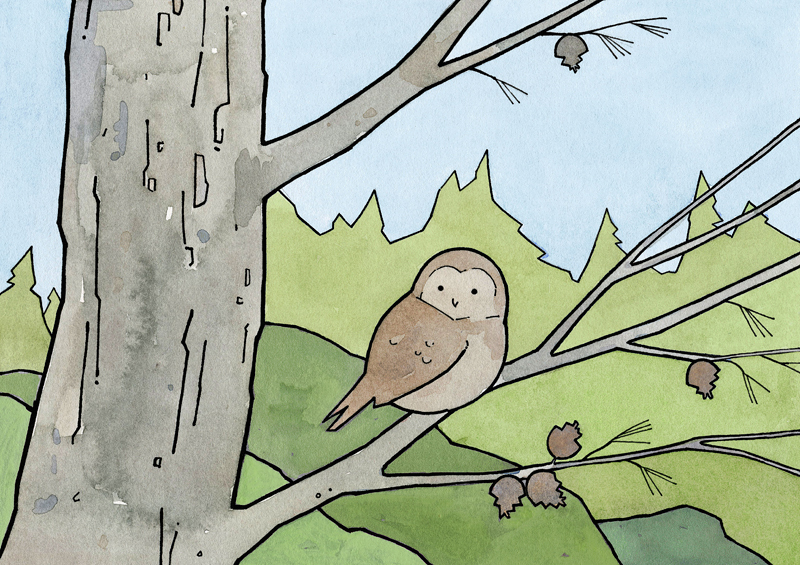 One fun part about this project is learning about the owls I draw, all the different species, the places they live, and the unique behaviors and characteristics. 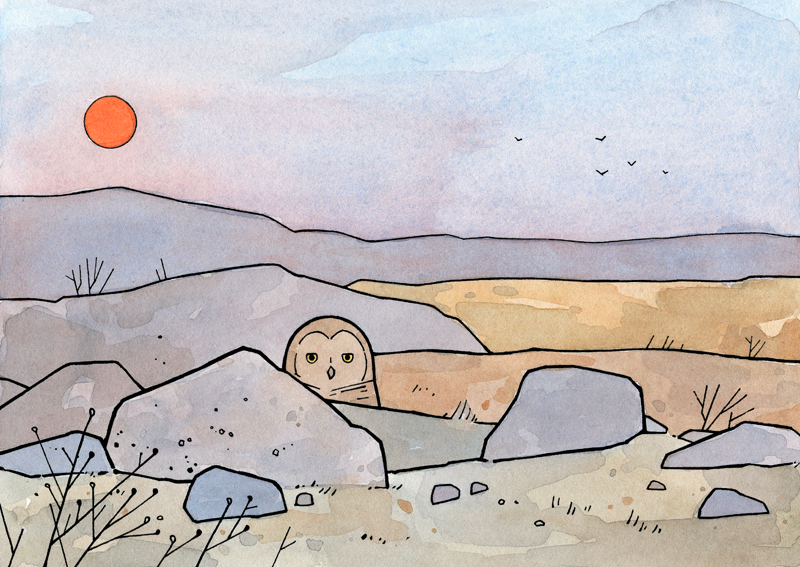 Here’s a little list of some interesting owl facts, illustrated with some of my past drawings. 1. 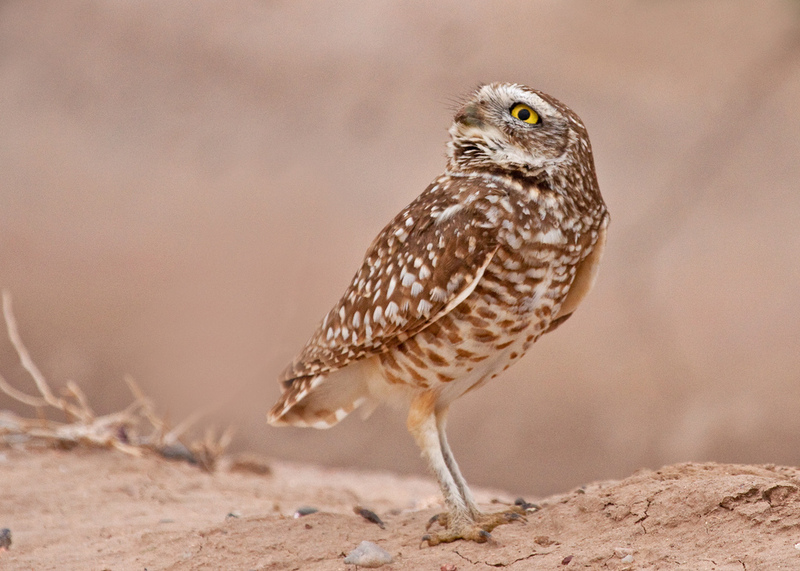 Burrowing Owls catch food in a variety of ways including chasing it across the ground on foot. They will also swoop down from the air or a perch or catch prey in mid flight. 2. 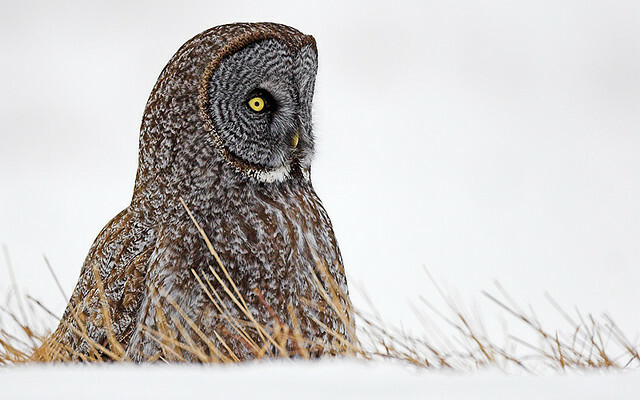 The Great Gray Owl’s scientific name, Strix nebulosa, means nebulous, clouded, or foggy. This owl is often described as ghostlike, it’s coloring camouflages it in the lichen covered trees of the northern boreal forests where it lives. 3. Great Gray Owls are the longest owl from head to tail, although the Great Horned Owl weighs more, and the Snowy Owl weighs about twice as much. 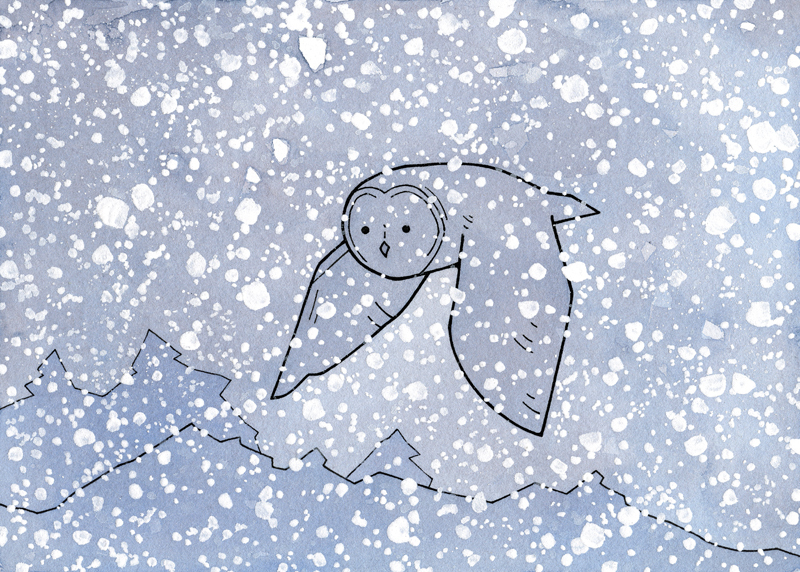 Much of the Great Gray Owl’s bulk comes from its feathers which helps it survive in the cold forests of the north. 4. Owls that nest in tree cavities rely on reusing old nest holes created by woodpeckers. 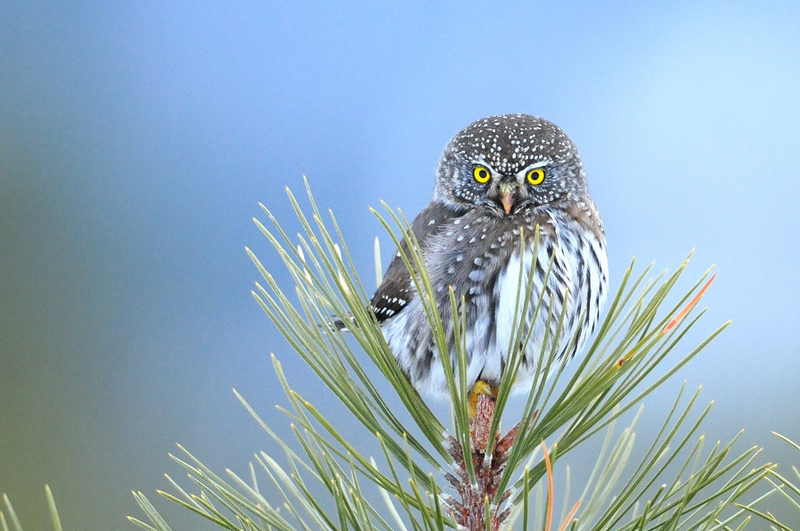 The small Northern-Pygmy Owl prefers Hairy Woodpecker nests. Woodpeckers are a keystone species that provide nesting cavities for many other species as well, including bluebirds, pine martens, squirrels, ducks, and other small birds and mammals. 5. 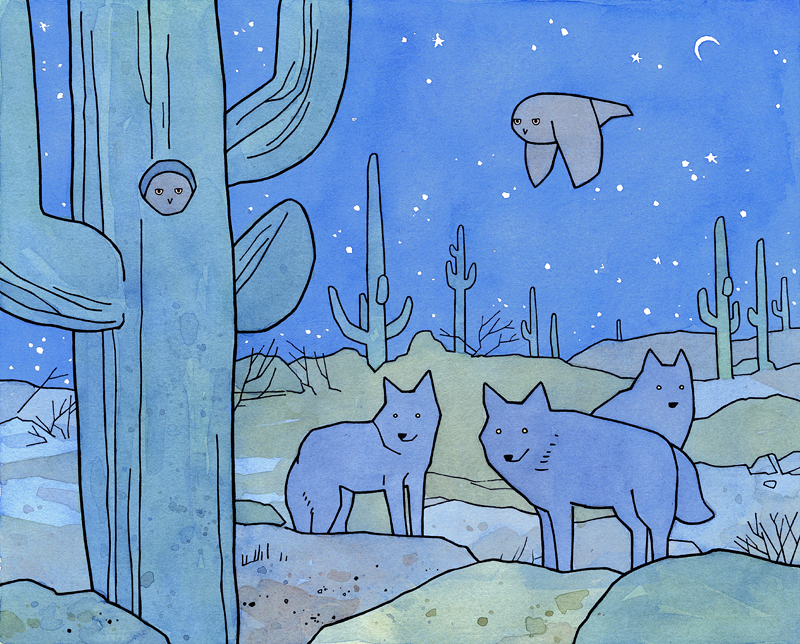 Saguaro cacti provide nesting sites for many types of owls and birds. Elf Owls, Ferruginous Pygmy-Owls, and Western Screech Owls will use old woodpecker holes in saguaros and Great Horned Owls may nest in the crook of the cacti. Nests in these cacti have the added benefit of protective spines. Hope you enjoyed reading! 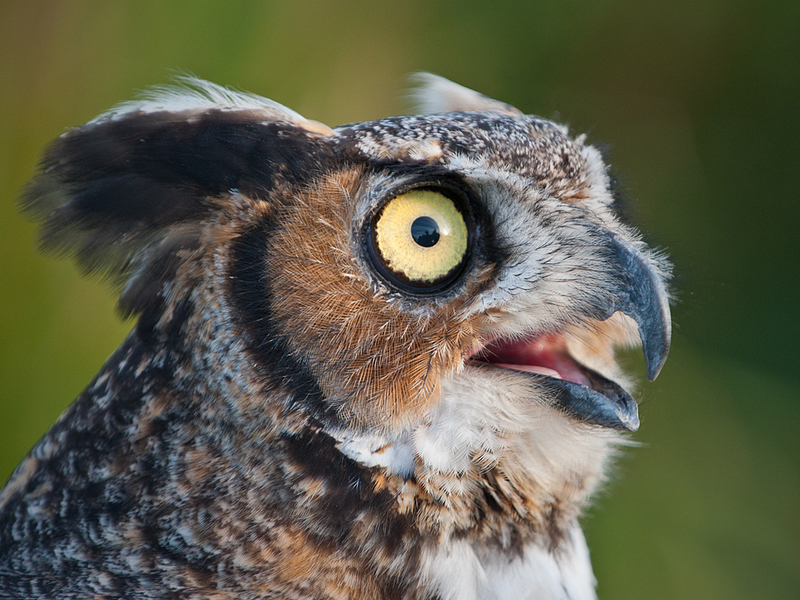 If you want to check out some more interesting facts check out my previous post, 10 Fun Owl Facts.